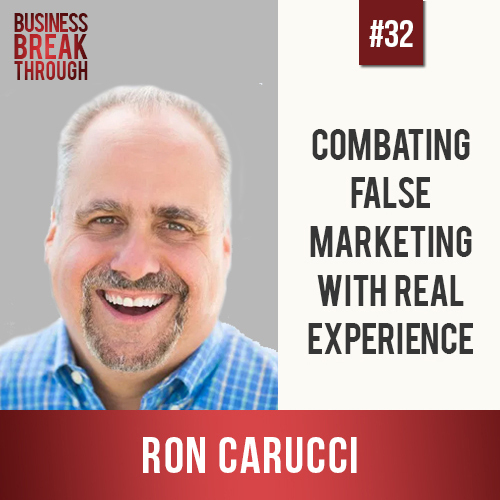 Ron Carucci has over 30 years experience as a leadership coach, helping some of the most influential companies solve organizational development challenges. Now Ron faces his own challenge of how to make himself stand out from the myriads of other leadership coaches out there, who claim to be the exact same thing, but lack the experience and skills that Ron has. In this episode we discuss how to solve that challenge and how to market yourself to the right clients. We also discuss some of the best ways to transition from being an employee, to going out on your own, and how to pick up the skills, knowledge, network and clients that every entrepreneur needs to be successful. Ron Carucci is co-founder and managing partner at Navalent, working with CEOs and executives pursuing transformational change for their organizations, leaders, and industries. He has a thirty-year track record helping some of the world’s most influential executives tackle challenges of strategy, organization and leadership. From start-ups to Fortune 10’s, turn-arounds to new markets and strategies, overhauling leadership and culture to re-designing for growth, he has worked in more than 25 countries on 4 continents. In addition to being a regular contributor to HBR and Forbes, Ron has been featured in Fortune, CEO Magazine, Business Insider, MSNBC, Inc, Business Week and Smart Business. Started his career inside the HR and organizational development departments of huge corporations such as Pepsi Co, ADP and New York Power. Learnt the hard way that large corporations don’t want to hear the truth. Realized that if he was going to live out his passion of organizational development, he would have to be working outside of an organization. Tried to go alone as a leadership coach, trying out his services on a previous employer but saw that he was not ready to make the transition. Got a job in a small boutique firm where he worked for a blissful 8 years and gained lots of experience with exposure to great clients. When the firm was sold to a large corporate organization, the job changed from digging into organizations to being responsible for financial metrics. Left the firm together with a few colleagues to create Navalent, their own boutique firm. Hit a personal crisis three years ago where he was doing everything right but still not finding new clients. Hired a coach who clued him in that you can’t write blogs and expect people to find you. Has begun working muscles that have been out of use for a while to redefine his brand and sharpen his marketing efforts. In order to pick up the skills and knowledge necessary to run a business, first work inside a well-run company, then go out on your own. This will show you what it means to organize, strategize, choose customers and to keep track of money before you have to do it yourself. If you are thinking of leaving your job to go out on your own, a great way to start is to try out your services on your previous employer before forking out big money to open a website and establish an official company. Spend a year setting up your transition, such as what you are going to sell, how you will sell it and where you will find your customers. The web is full of stories of impulsive entreprenuers who made it big, but usually, these people just make more noise than those who spent time planning their transition. Beginnings that are slow and thought out are usually more successful than those who are impulsive. Nobody is a solopreneur because nobody does everything on their own. Everyone has someone to help them, be it a coach, website developer or other affiliates. To be successful, you need to realize that you are running an organization and manage your business professionally. When hiring an outside pair of eyes, make sure that they have the knowledge and expertise to see the whole picture of your business, not just in their small niche. Ron struggles with making his business stand out from the myriads of amateur leadership coaches who don’t have the skills and experience that Ron has. These people market themselves in exactly the same way, but their service doesn’t compare to Ron’s thirty years of experience and robust skill set. How does Ron beef up his marketing and make himself stand out as the expert he really is? Ron hired a coach to help him take a step back and work on his business instead of just working inside it. When choosing which promotional strategies to use to attract new clients, Ron can see how he chose his business coach, and copy those same strategies to attract others to him (assuming that he is looking to attract the same audience). For example, Ron stalked his business coach on LinkedIn a little and she then reached out to him with an offer to help. Ron could copy that strategy and reach out to those who engage with him on LinkedIn. I love turning ideas into money, and helping others do the same. 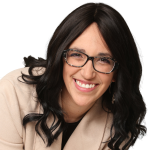 I help small business owners with everything from marketing to fiscal management, business plans to staffing, database architecture to work/life balance coaching and I love it all! What do you need help with today?